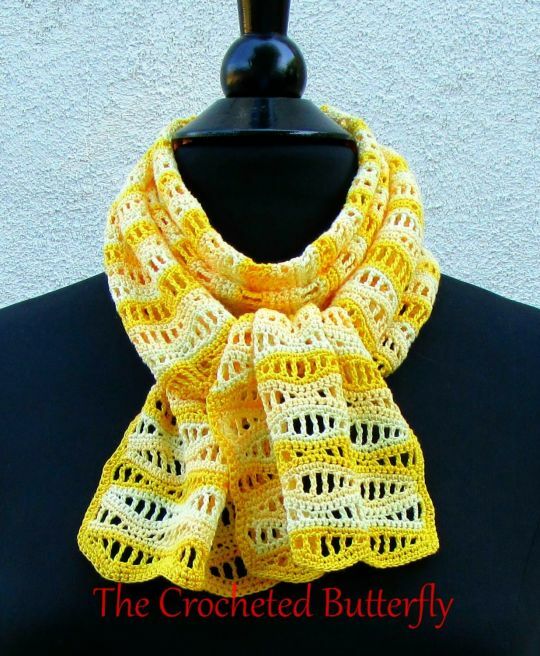 Light and bright, the Du Soleil scarf is made from #10 crochet cotton in three shades of yellow and 2.00/2.10 mm hooks. Pattern available for $3.99 at The Crocheted Butterfly at Bonanza – Crafts, Patterns-Contemp…. Why not check it out today?